I was so excited about this budget find! I was at Target yesterday finishing up our back to school shopping for my daughter. 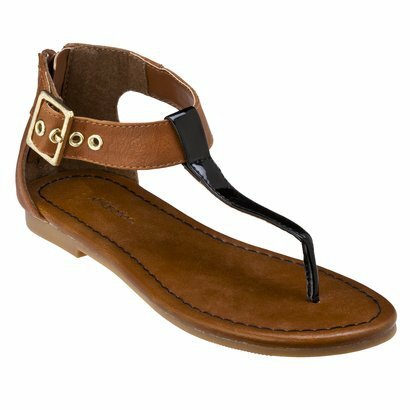 While looking for some shoes I found these cute stylish sandals! Only $4.00!!!!! There were still quite a few left. You can't go wrong with these!